we are fighting everyday to save lives and end breast cancer forever. This week’s Team Tuesday spotlight is on Team momEE! This is Team momEE’s third year participating in the Race. We spoke with Justin, the Team Captain and asked him to share his story on why he’s joined the Susan G. Komen Greater Cincinnati Race for the Cure as a team captain and why their team has raced the last few years. What does Team momEE stand for? Team momEE, was derived from “mom” (representing my wife) and the E’s for Emory and Evelyn our daughters. “My wife, Ashley was diagnosed three years ago with breast cancer when she was 26 weeks pregnant with our twin daughters. She started chemo right away and gave birth to them at 34 weeks. Needless to say our lives changed rather quickly during that span. After multiple chemo and radiation treatments Ashley had a double mastectomy with a full reconstruction completed within about a year. For two years everything was going well until she experienced back pain causing another MD visit and testing which revealed the cancer had spread to her bones in multiple areas. Ashley recently finished her second bout of chemo and is currently doing okay, enjoying chasing around our now two and a half year old girls. Obviously, she is such an inspiration and a positive person. She has really been the glue to keep our family going through this experience. This will be our third time participating in the Race and we walk for her number one but also for all those survivors and families that have gone or go through what we do every day. We also want to assist in finding a cure for this terrible disease as we have recently come to find out her cancer was caused by a genetic mutation and likely could be passed on to our girls. My wife is so selfless that she worries more about finding a potential cure for our daughters then finding one to assist her in her battle. We currently reside in Amelia but have people joining us for the race from the West Side, North Side, Columbus, and Dayton. We are truly blessed to have many family members and friends walking with us this year. It truly is a testament to how Ashley has effected so many and how much love is in our lives. Thank you Justin and Team momEE for your endless support and for sharing your story. Please feel free to email and tell us who are you Racing for? If you haven’t done so yet, be sure to register today! You can form a team or join an existing team! 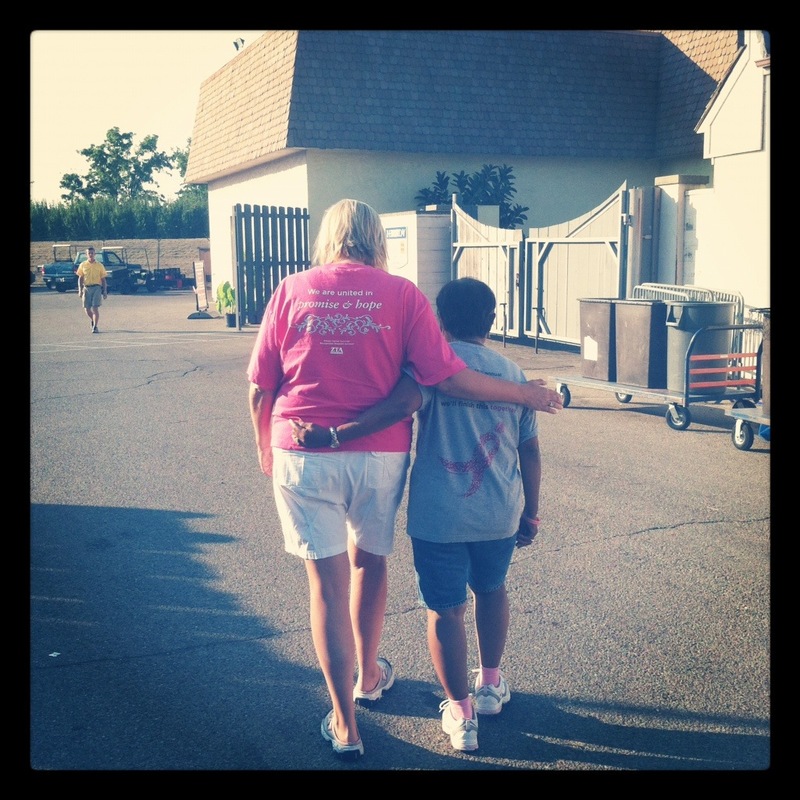 First time I met Josie, she was volunteering for Komen Cincinnati at Kings Island. 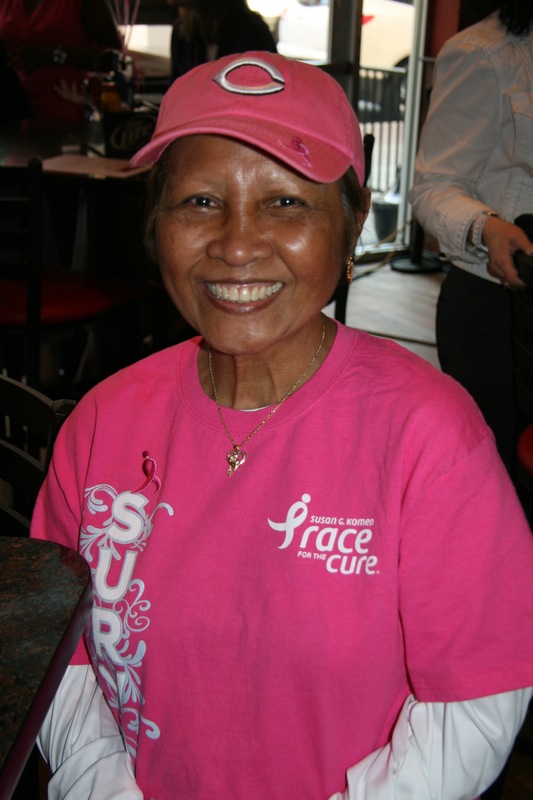 When we introduced ourselves, she told me, with her huge smile and her cute Filipino accent, “I have Stage 4 Metastatic…some doctors say I’m going to die…so I not listen to them…I keep fighting it! !” I fell in love with her adorable attitude, and we have been friends since that day. Both before and during cancer, she has gone through more hardships than many of us could ever imagine. She had heart problems, was paralyzed by a stroke, pulmonary problems, and then on 8/8/08 found out that she had Triple Negative Breast Cancer. The morning of her mastectomy surgery at UC Hospital, she found out that her mother had passed away in the Phillipines. Her Breast Cancer has returned once, and when the doctors thought maybe she had eight months left to live, she stood up and went down to the Chemo room, and yelled “Please start my chemo!” She and her amazing medical team beat it. Last year, she nursed her husband Gary through Prostate Cancer. To keep her mind off the negative, she stays busy….volunteering. It is one of her strongest medicines. 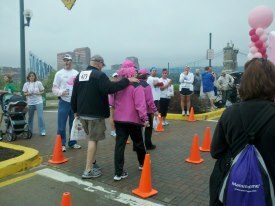 The second time I met her, after Kings Island, she had her chemo nurse call the Komen Cincinnati office to let us know that she wanted to apologize. She was going to be late for her volunteering time folding race shirts. THAT’s how amazing she is. She would much rather be at UC’s Football 101 or at a Reds Game or volunteering for Susan G. Komen than sitting around thinking about cancer. Several weeks ago, she found out that her Breast Cancer had moved to her lungs. She had let her husband drop her off and go on to work, because she thought it would just be a regular appointment, so she found out by herself. Gary obviously was terrified when he heard also…as well as her daughter Joey, who is working and furthering her Medical Education in California. Her AMAZING team of physicians at UC, especially Dr. Palacek and Dr. Shariff, offered her an Experimental Chemo for Triple Negative Breast Cancer. It is in conjunction with MD Anderson in Texas. They planned several scans and a surgery to implant a port for the chemo. She is SO proud to be able to be part of this trial. She passionately wants to help herself if possible, and if not, to help her daughter and all other women to not have to go through this. 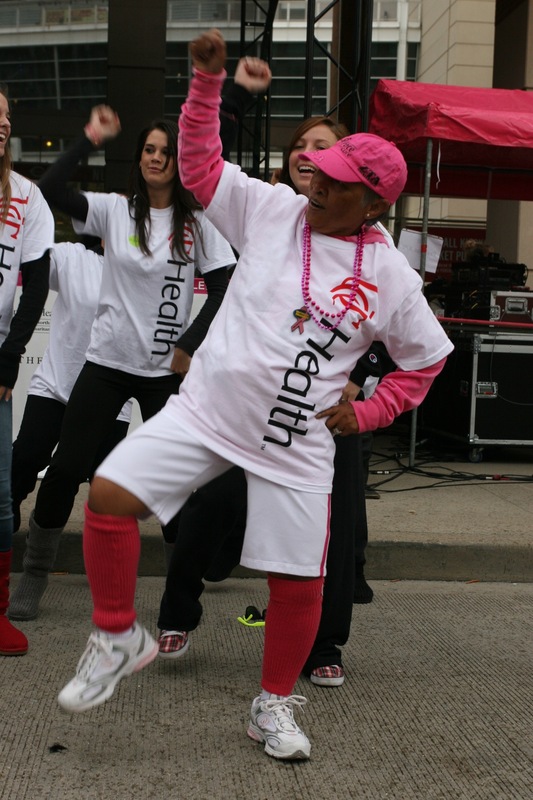 Then they told her to go Volunteer at Komen’s Booth at Kings Island…..because they know her! She volunteered for two days straight!! On Labor Day weekend, she began having horrible headaches. Gary took her to the ER on Sunday evening, and the scans confirmed that the cancer has moved to her brain. Josie’s main request to everyone was PRAYER!! She let herself have her breakdowns (the nurse even helped her have a little scream….which ended up bringing the police to the ER…but that’s another Josie story! ), and when they admitted her to the Neuro ICU, she began strengthening herself for the battle. On Tuesday, she went ahead with the surgery to implant her port, and got to go home on Wednesday evening. She can’t drive or be home by herself, but she is still ready to go help someone else! Dr. Patar has fitted her with a Radiation Mask, and they are working on a plan for her brain radiation next week. 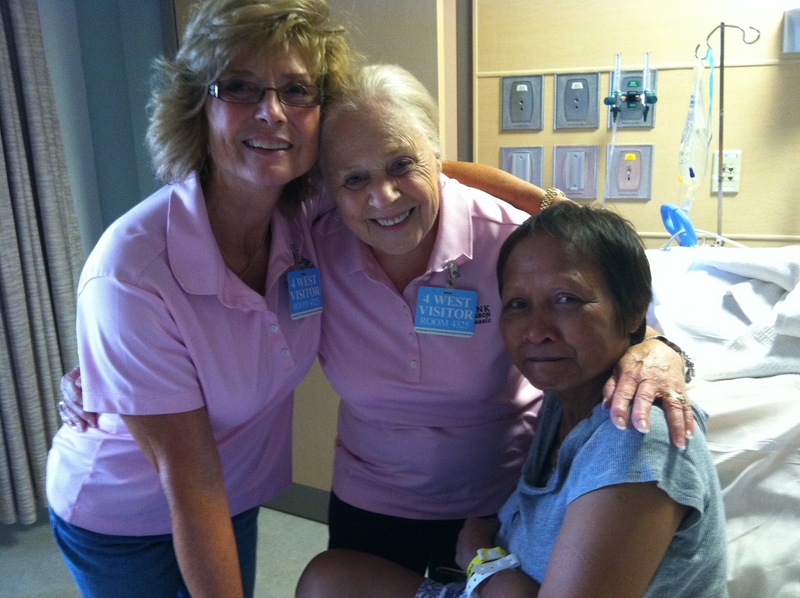 Dr. Palacek and Dr. Shariff have told her that she will still get to do the chemo soon after the radiation. That is what keeps her going…..knowing that she has a plan. Josie’s #1 goal is to fight to beat this and stay alive for herself, Gary and Joey. Her #2 goal is to be able to help the physicians at UC, Susan G. Komen, and all women (and a few men!) and to find a CURE for this. She said yesterday to her oncologist…..”Doc, we have to fix this so NO ONE else has to go through it”. Dr. Glendon Zinser is an Assistant Professor in the Department of Environmental Health at the University of Cincinnati’s College of Medicine. 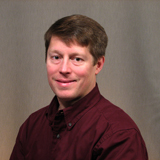 Dr. Zinser earned his PhD in Cellular and Molecular Biology at the University of Notre Dame. Dr. Zinser, a member of the American Association for Cancer Research, has been the recipient of multiple funding awards, including research awards from Susan G. Komen for the Cure®. With these multiple awards, Dr. Zinser has been able to investigate the effect of nutrition on body tissue and link to cancer. The work by Dr. Zinser and his research team specifically addresses the importance of Vitamin D3 signaling within the breast, either through diet/dietary supplements or exposure to sunlight. Interested in this topic – here is a list of articles by Dr. Zinser. 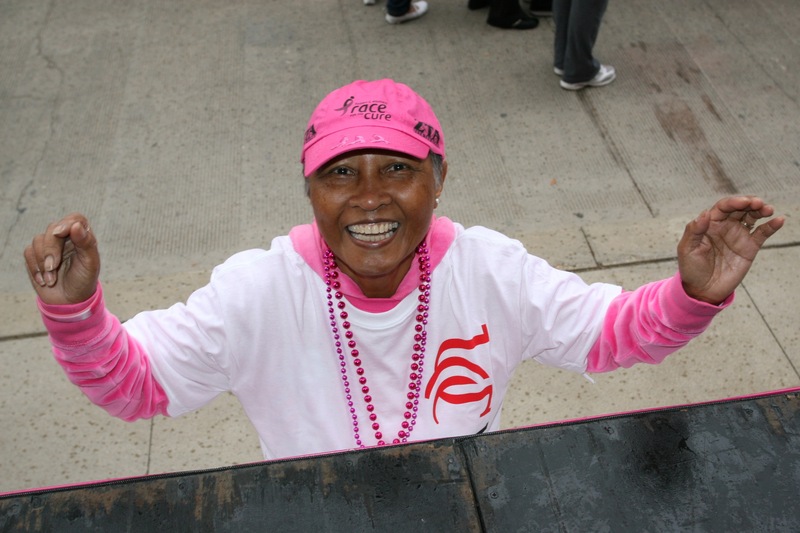 Can you believe that there are only FIVE weeks until the 2012 Race for the Cure? Have you registered for the Race yet? There is still time to sign-up and join Patty and Mike at the start line! Patty Stump is my mother. 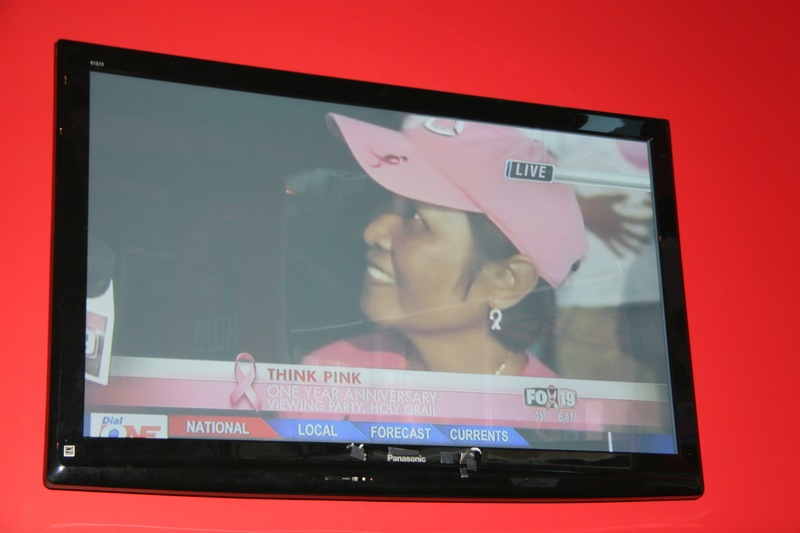 She is also a grandmother, a wife, a business owner and a two-time survivor of breast cancer. You may know someone like my Mom. But I want to give you some insight into how she is able to carry on all these roles with such success. Besides being a naturally positive person, my mother has a “secret weapon”. It’s called a support system, TEAM PATTY. This system starts with her husband, Mike Shroder, who also is a breast cancer survivor. Mike was the first to be diagnosed. A year after his diagnosis, Patty was diagnosed. You might think that this would be a knock-out blow for any couple, but not these two. They met it head on; went through the necessary treatments and came out even more committed to each other. Four years after Patty’s first encounter with breast cancer she was diagnosed with breast cancer a second time. In addition to the blow of the diagnosis, Patty was about to lose her health insurance coverage. If that weren’t enough, Patty and Mike had just started a new business and were trying to get it on its feet. This combination would be overwhelming to any couple. But that’s when the “TEAM” appeared. That’s when the support system kicked in. Patty’s sister came to visit and helped at the business and in so many other ways. Old friends came to give emotional support. Mike’s sister helped find insurance coverage and a whole lot of people offered to help with my two sons so I could spend more time at the business. Husband, son-in-law, sisters, brother, cousins, friends, business associates and even customers were all team members. There was no hand wringing or sad sighs; there was only an attitude that we were all going to do our part to help Patty and Mike get through this “bump in the road”. People just stepped up. It takes more than a good medical team to beat breast cancer. It takes a TEAM PATTY. The concern, the caring, the common goal are all part of forming a TEAM. But it is the determination and the love given by each team member that helps BEAT BREAST CANCER. 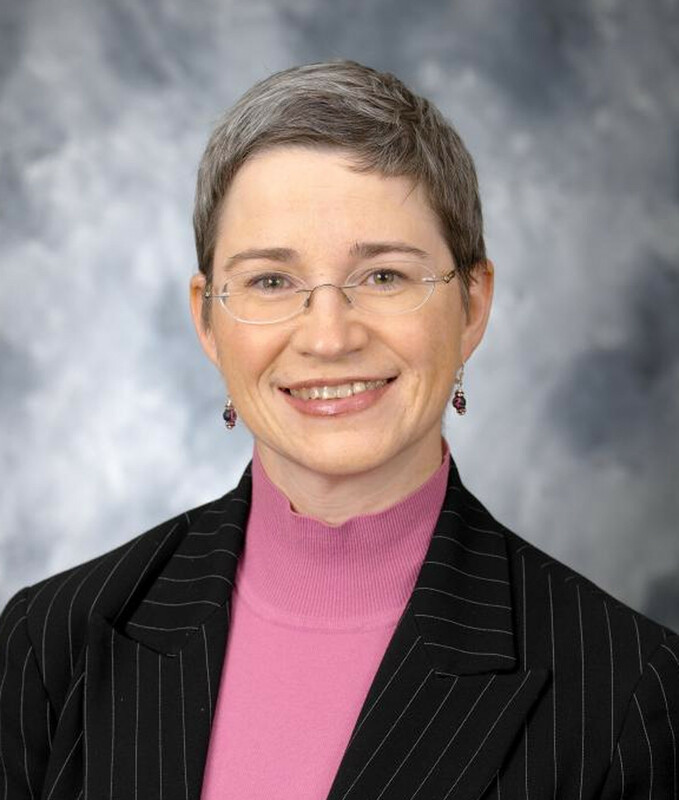 Dr. Elizabeth Shaughnessy (Beth), Surgical Director of the Breast Center at University Hospital’s Barrett Cancer Center, earned both her MD and PhD at the University of Illinois. Beth completed two fellowships in surgical oncology, one of which was at the City of Hope National Medical Center, which performs a large amount of Komen-funded research. Beth has been a Ray and Joan Kroc Academic Scholar Awardee, a recipient of the Charles A. Schiff Award for Patient Care at the University of Illinois Department of Surgery, a Young Investigator Awardee for the American Society of Clinical Oncology, a “Alumni Makes a Difference” Awardee of Illinois High School, a Distinguished Alumna Awardee of Rolling Meadows High School, and a University Hospital “Hospital Hero” Awardee. Among the many awards, recognition, and publications that Beth has received and produced, she has never veered from her main focus: providing quality and compassionate surgical care to the women and men of Greater Cincinnati that experience a breast cancer diagnosis. Beth has provided comfort and support to her patients in a way that does not just provide them with the confidence they need to fight their disease. Beth provides each woman or man a level of assurance that their battle will be in the most competent hands in the tri-state as the battle the surgical portion of their disease. Beth extends not only her capable hands to each person she sees, but also her heart and caring spirit. Beth is also a member of the following organizations: the American Association for Cancer Research, the American Association for the Advancement of Science, the American Association of University Women, the American College of Surgeons (Associate Fellow), the American Medical Women’s Association, the American Society for Clinical Oncology, the Cincinnati Surgical Society, the City of Hope Surgical Alumni Society, the Mont Reid Society-University of Cincinnati Department Surgery Alumni, the Society for Surgical Oncology, and the Warren H. Cole Society- University of Illinois Department Surgery Alumni. 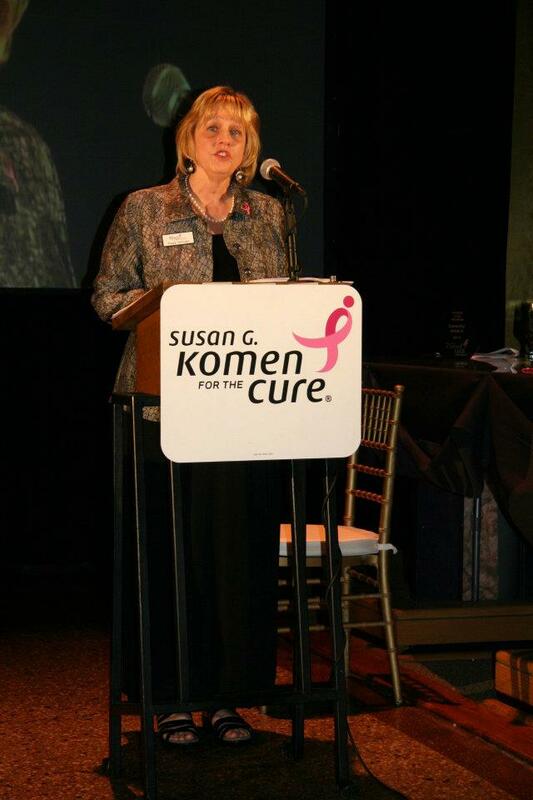 It is impossible to talk about those who have impacted the Greater Cincinnati Affiliate of Susan G. Komen for the Cure®Greater Cincinnati without talking about our Executive Director, Peggy Isenogle. 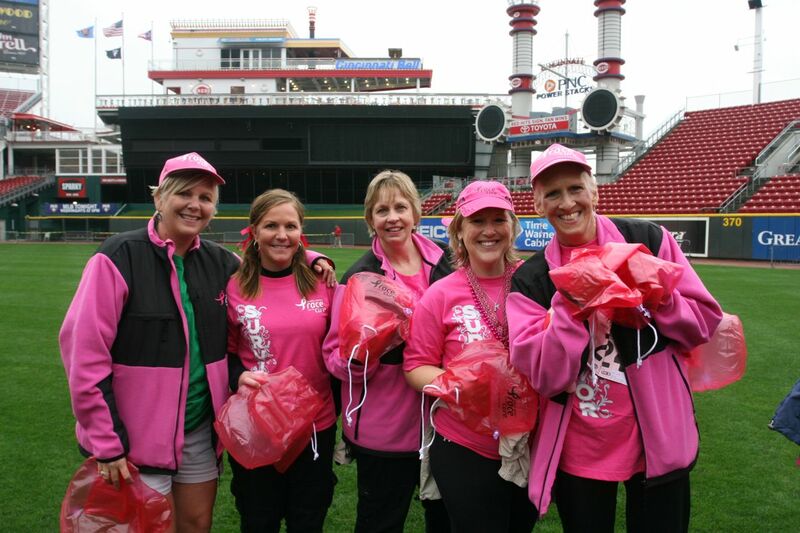 Peggy isn’t just a face of Komen Greater Cincinnati; she embodies the heart and soul of our mission. Peggy’s first contact with Komen is likely similar to yours. 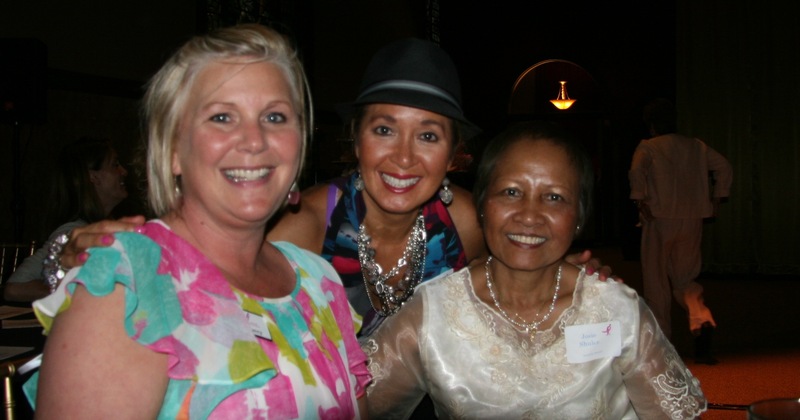 In 1988, Peggy’s closest friend was diagnosed with the breast cancer. Peggy’s friend lost her battle a short ten months later. With that loss, Peggy gained a sense that she needed to do more to fight back against breast cancer. Not long after that, Peggy learned about the Race for the Cure. She was one of a small group of women to bring the first Race to Cincinnati. 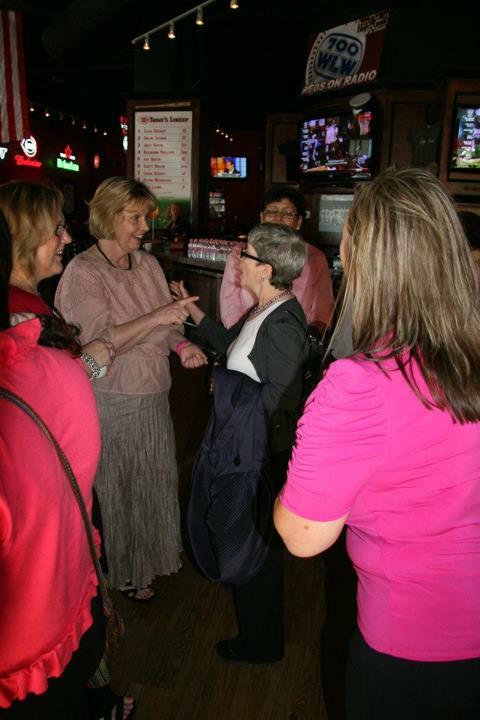 In 1997, Peggy was one of four ladies who founded the Greater Cincinnati Affiliate of Susan G. Komen for the Cure. She is the only original member still on our staff. In the nearly fifteen years that Peggy has been at the helm of the Greater Cincinnati Affiliate, it has grown exponentially. 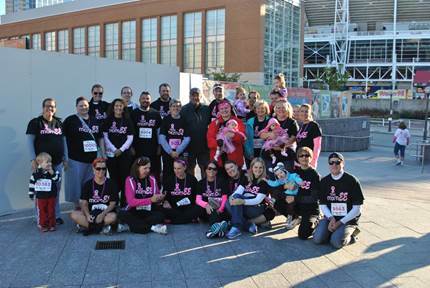 Founded in 1997 as Susan G. Komen for the Cure Greater Cincinnati Race for the Cure (RFTC), this Affiliate has grown from a RFTC event with 2,700 participants making $170,000 in revenue to combined Race/Affiliate revenue of over $1.8 million. Last year marked a landmark Race year for the Affiliate with the largest number of Race participants and volunteers in Affiliate history, at approximately 19,000 coupled with an increased Race revenue of approximately 10%. For the first time in our Affiliate’s history, we were able to fund more than one million dollars in grants in 2012. None of this would have been possible without Peggy’s steadfast commitment to wiping out this devastating disease in loving memory of her friend. Because of Peggy’s passion and dedication, the threat of breast cancer has become less ominous in the Greater Cincinnati area. What was once her dream of giving every woman in our 21 county service area access to a no cost mammogram has now become a reality. Her current vision of making medical treatment available to any woman facing this disease is also fast becoming a reality. This year, our Affiliate has the funds to test a pilot treatment program that will next year be available to any person who qualifies. Recently, the Affiliate also accomplished another of Peggy’s goals — funding the entire continuum of care. 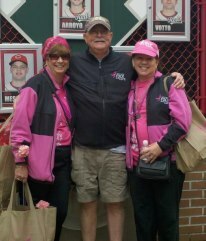 For Peggy, it’s not only important that more women have access to Komen’s life-saving funds, but that the funds are also used in ways that have a lasting impact on those who receive them, no matter where they are in their fight against breast cancer. And maybe it is because Peggy is a breast cancer survivor herself that every person who comes in contact with her feels her genuine care and concern. It was actually after Peggy was already the Executive Director of the Greater Cincinnati Affiliate that she was diagnosed. And because she has been on the receiving end of this horrible news, her sincere compassion ripples through our community touching every person who needs it. 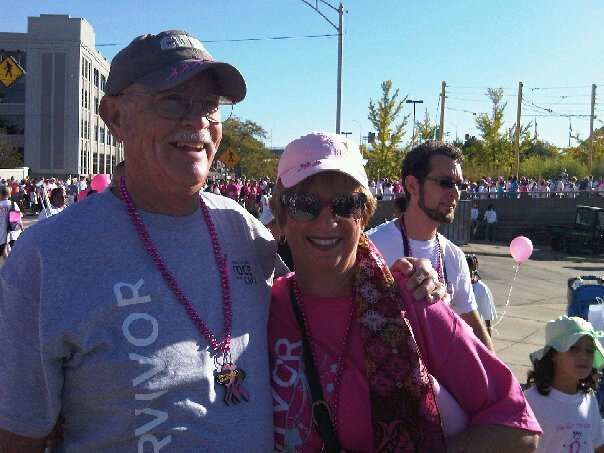 There is not a single person in Greater Cincinnati who has had more of an individual impact in the war against breast cancer than Peggy Isenogle. Every day, Peggy is in the trenches, saving lives and giving those battling this disease the weapons they need to fight back. No, she is not alone in this work. But she is, without question, leading the charge. Join us for the 19th annual Race for the Cure!